Ticks & Fleas - Griffology...where every paw counts! Several people posted wanting my opinion on flea products. My answer is "it depends" upon the product. I do not endorse/recommend anything with permethrin or pyrethrin in it. I do not endorse/recommend any of the "Kirkland brand" - Costco products. Both of these types have caused severe reactions and even death in some dogs. In our area (northern CA), we have heart worm. Many of the products are combination flea/heartworm/GI parasite ones. Personally, I use Sentinal for flea/heartworm/GI because I don't like topicals (spot on) products unless I am forced to use them. The only issue is that it doesn't cover ticks. During tick season I add Frontline. This seems to me to be the safest and most effective combination. Yes, you can use Sentinal and Frontline together if you need to. Other safe products include Advantage and Trifexis (although some dogs vomit Trifexis and it is pricey). There are others, but I don't always like the choice of drug they contain. Frontline is the safest flea/tick control (not the Costco generic). Fipronil only acts on the exoskeleton of the flea/tick and is fairly inert to the mammal. Frontline is waterproof as is Sentinal. 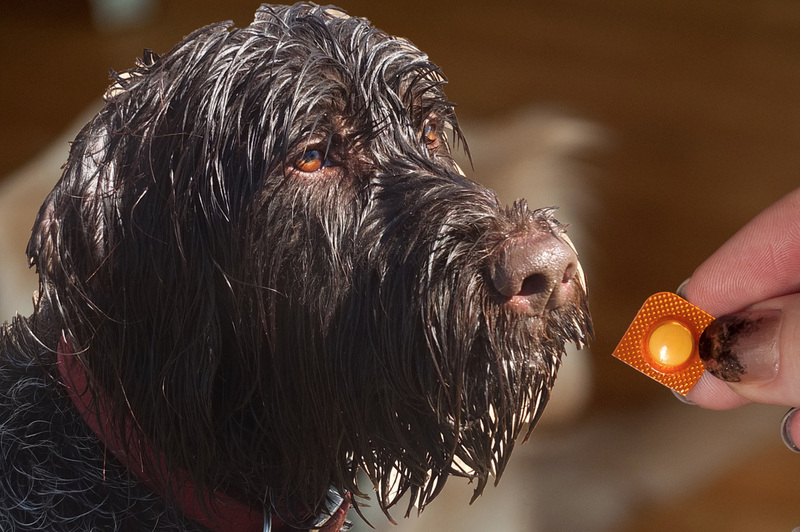 Now, there are dogs that are sensitive to all types of products, but that can happen with any medication. Of course, if there were a natural effective alternative, I would use it. The risk of these products is minimal compared with the risk of tick borne disease. The only other alternative that is risk free is flea/tick combing daily. Even with this, in a Griff coat, you can miss ticks. Once you have fleas in your home, they are hard to get rid of.